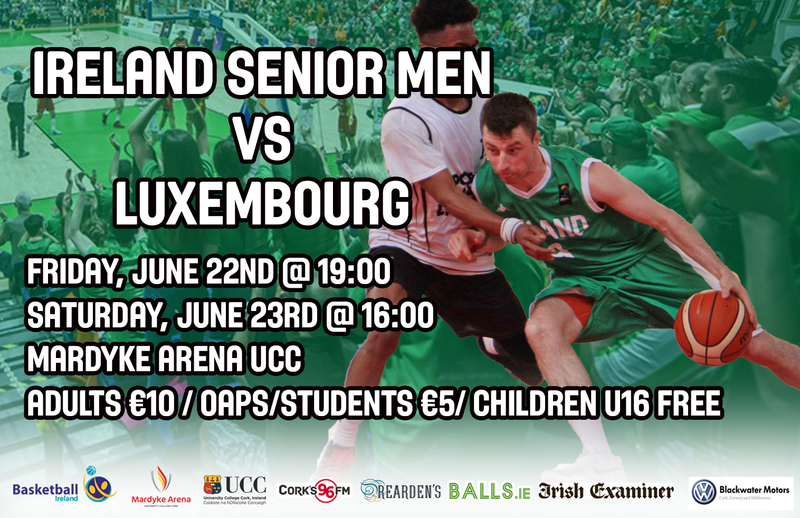 The Ireland senior men’s team will take on Luxembourg at the Mardyke Arena UCC in Cork in a two-game series on June 22nd and 23rd. The games will be the final stage of preparation for Pete Strickland’s squad before they depart to the FIBA European Championship for Small Countries in San Marino from June 26th to July 1st. Tickets for the game will be available to purchase on the door at the Mardyke Arena UCC, with adult tickets priced at 10 euro, student/OAP tickets at 5 euro while children under 16 will go free.